Who ya gonna call?? Well you can call on Jokers’ Masquerade to get your hands on this iconic Ghostbusters Costume. 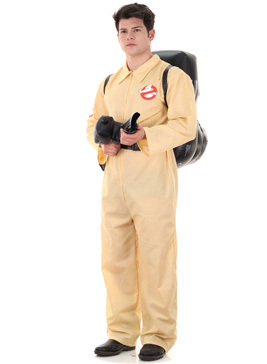 This very popular costume consists of a beige coloured jumpsuit with trademark Ghostbuster logo on the left breast. The jumpsuit fastens at the front by a zip making easy access for taking on /off and also offers working side zip pockets perfect to store any keys or money (or any ghost-busting gadgets!). An additional logo appears on the right upper-sleeve just like our favourite Ghostbuster heros. A fun inflatable proton pack also comes as part of this outfit. Worn like a backpack with adjustable shoulder and waist straps the proton pack is a great quality accessory to accompany the jumpsuit. The gun attaches to the backpack via Velcro and for extra value, the proton pack comes with a puncture repair patch in case of emergency. 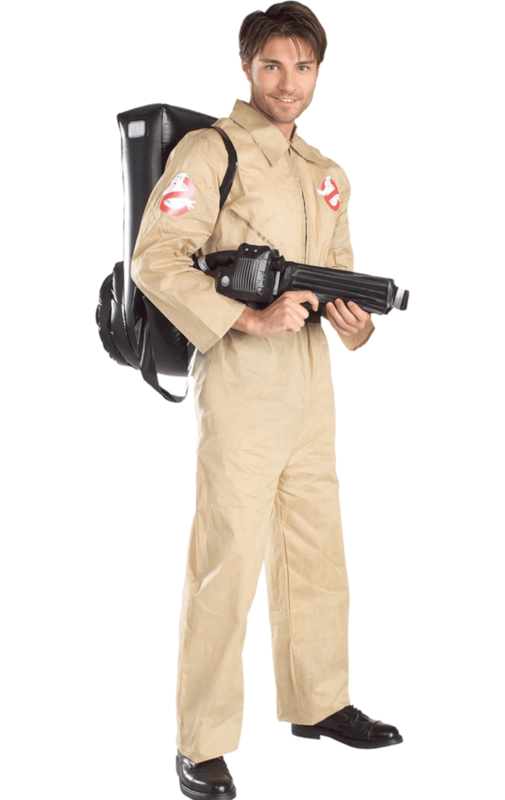 Perfect for an individual or as a Ghosthunting team, this 80’s themed costume will remain at the top of our best selling costumes for many years to come.